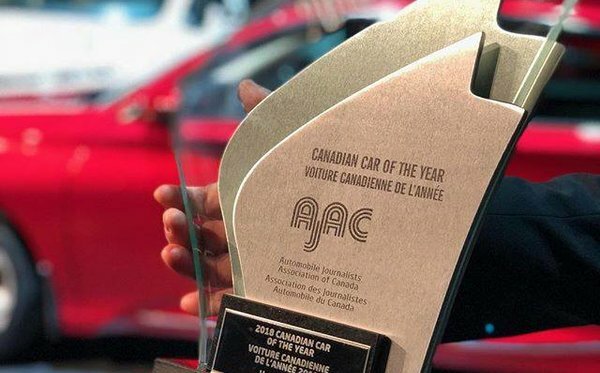 AJAC (The Automobile Journalists Association of Canada) has named their choices for Canadian vehicles of the year at the Canadian International AutoShow in Toronto earlier this month. We're pleased to say that the 2018 Honda Accord was chosen 2018 Canadian Car of the Year, beating out finalists the Mazda3 and Volvo S90 / V90. Making the prize even more exciting, this was the first year that AJAC did not consider only models that are new to the market. The winners were decided through voting by close to 100 AJAC members, who road tested them in varying conditions. Criteria included performance, features and equipment, design, fuel efficiency and overall value. The new 2018 Accord has been loaded with features and engineered for improved performance across the board. 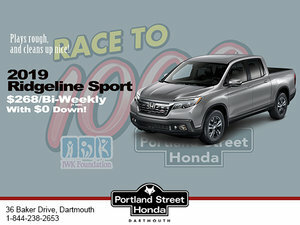 The classic Honda quality, fuel efficiency, packaging and sophisticated driving dynamics are met with a new level of emotional appeal and premium quality in the 2018 model. The Accords available turbo engine that stands out thanks to its average fuel consumption rating that stands out with a fuel economy rating of only 7.9 liters per 100 kilometers in the city, and 6.3 liters per 100 kilometers on the highway. Inside, the Accord offers an even more spacious and versatile interior and the trunk is one of the largest in its segment. Plus, the Accord now offers the Honda Sensing set of active safety systems as standard. This new Accord has taken home a number of awards including being named 2018 North American Car, at the Detroit auto show earlier this year. It's been an incredible year for the new Accord, and we can't wait to see what's next!